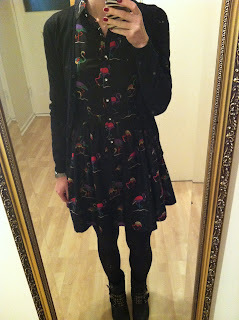 Lotus and Pie: Flamingo Dress! OK in my job I expect people to take me seriously. Even when I rock up to work wearing a dress with flamingo's all over it :) True story!